If I’ve said it before, I’ve said it a thousand times: intramural sports at SNU are a pretty big deal. It allows athletes and “regular Joes” to compete for both bragging rights and the coolest championship T-shirts ever designed. 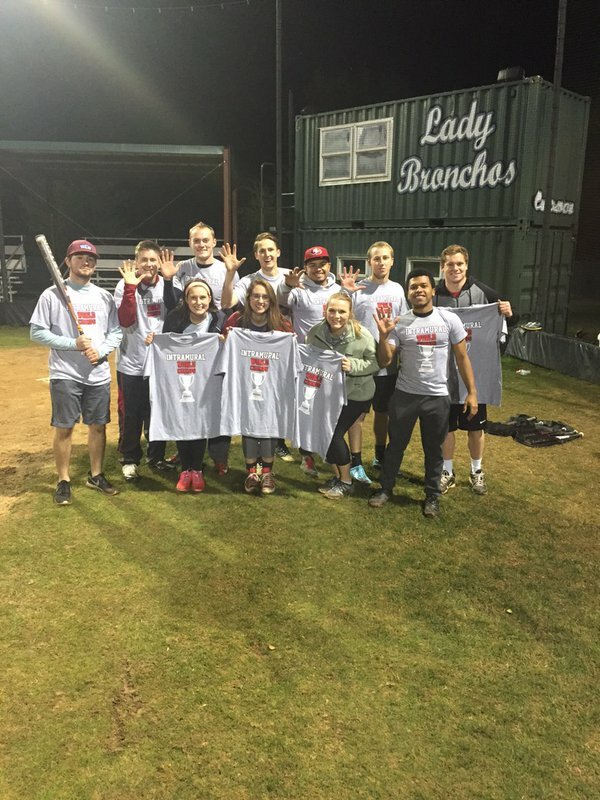 Whether you were a standout high school athlete who was one injury short of getting a scholarship to play college sports or just a normal person who likes long walks on the beach and smooth jazz, intramurals are for you. What’s so unique about intramurals is that there is a sport for everyone. Throughout the year, students will play sand volleyball, softball, flag football, dodgeball, indoor volleyball, basketball, indoor soccer and ultimate frisbee. Sign ups are held one week prior to the start of each sport, and students have a blast. Another unique aspect about SNU intramurals is the drafting of teams. Some sports like soccer, volleyball and ultimate frisbee don’t require a draft. Those are teams that students can form on their own, but every other sport has a draft. Just like the professional sports, we have our own special draft night. Every year, there are about eight to ten I-Captains (Intramural captains) who draft the teams. I’ve been an I-Captain the past two years, and it’s been so much fun. Drafting the players is easily my favorite part of being a captain. On draft night, all of the I-Captains will get together in a classroom to look at the sign up list and see who all can be drafted. What’s so exciting about drafting is the amount of unknown superstars that are on the board. Every year, for what seems like virtually every sport, there seems to be at least one student who excels far greater than any other athlete. These are what the captains like to call “sleeper picks.” There’s always a new batch of students each year that we know nothing about. After playing the several different sports for a couple years now, captains begin to discover which people to draft for which sport. Shellenberger went on to talk about how drafting gives the I-Captains a moment to hone their leadership skills. “It gives the I-Captains a chance to be the ‘general manager’ of their team and have an opportunity to pick and trade their own players as they choose,” he said. All in all, intramurals are a fun way to meet new people and get involved by playing different sports throughout the year. When draft night comes, dynasties are formed and lives are changed forever. Sign up today at snu.uintramural.com!